What? It’s back to school time already? Summer absolutely flew by, didn’t it? But maybe we say that every year—and every year we seem to manage to shift gears, however reluctantly. It really is a significant transition for the whole family. Schedules are more rigid. There’s less time to play. There’s no more sleeping in. It's time to think about the changes to come—after all, the back-to-school displays have been up since July. We’ve got some tips to help the family make the transition—along with some wonderful food suggestions to keep everyone fueled up for it. Try re-setting the internal clocks by moving bedtimes and wake-ups a half hour earlier every few days. Chances are, bedtime routines have been nil for the last three months, so this will help adjust to a regular school year-schedule. 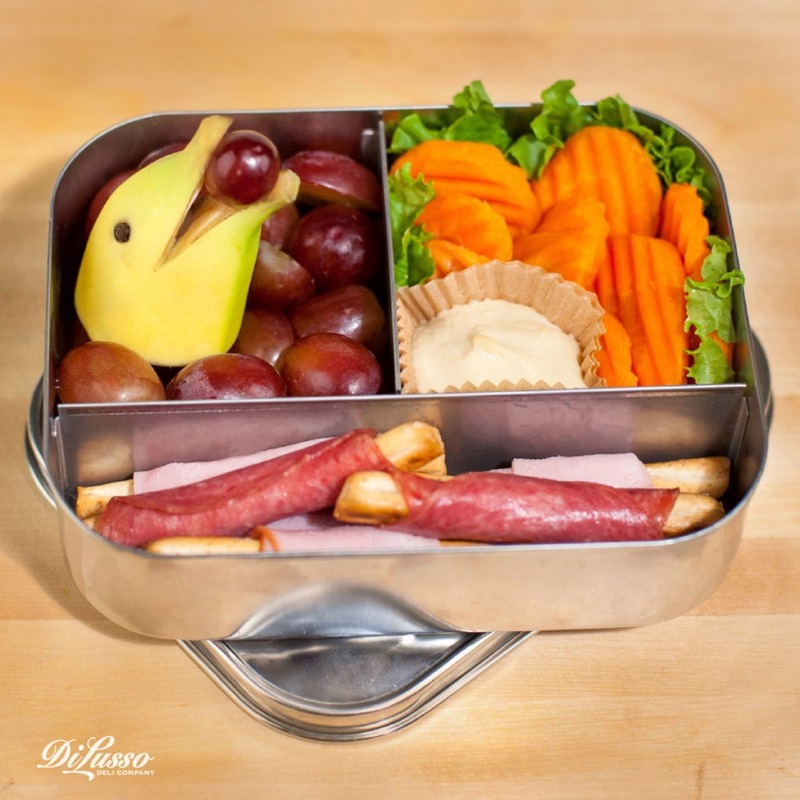 And try to start making mealtimes and snack times more in keeping with school schedules, too. You might also want to do a few “practice runs” on the inevitable morning rush. How long will everyone need to get ready? Exactly how long does it take to get to the bus stop? If the kids will be walking or riding bikes to school, ride or walk along with them a few times to make sure they have the route down and time that trek, too. Try to get clothes and backpacks organized the night before to make mornings less of a flurry. Teach your kids good organizational skills by establishing a family calendar, having a designated spot for permission slips or other important papers that need your attention and keeping a tidy and comfortable spot for doing homework. Now, onto keeping your students fed during these hectic days. First off, it’s worth it to mind the old adage about breakfast being the most important meal of the day. 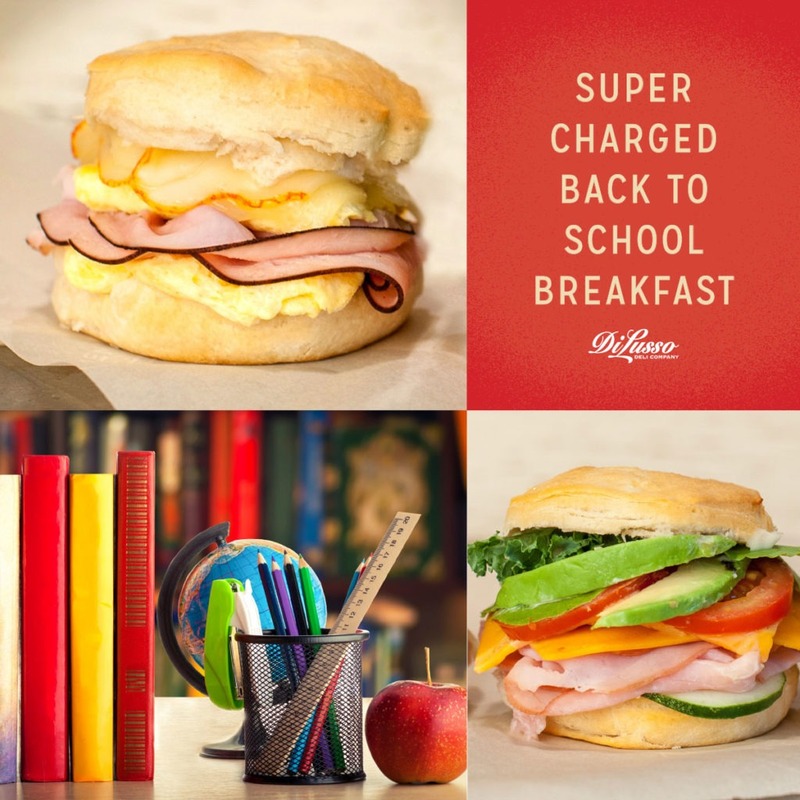 A good morning meal can really help make a difference in academic performance! Check out some terrific breakfast ideas, such as Homemade Breakfast Sandwiches To Go. These make-ahead goodies can be frozen and reheated in no time and can be eaten on the go. Breakfast Biscuits are flavorful and nutritious. Or simply fill a wrap with scrambled eggs, the DI LUSSO® cheese of your choice and DI LUSSO® Ham, Prosciutto or Salami for extra protein. Couldn’t be easier. Wraps are a great option for lunches, too; they give kids a nice break from typical sandwiches. And don’t overlook the many fabulous sandwiches you can make with DI LUSSO® products—check out the Sandwiches section in the Recipes section of this website. 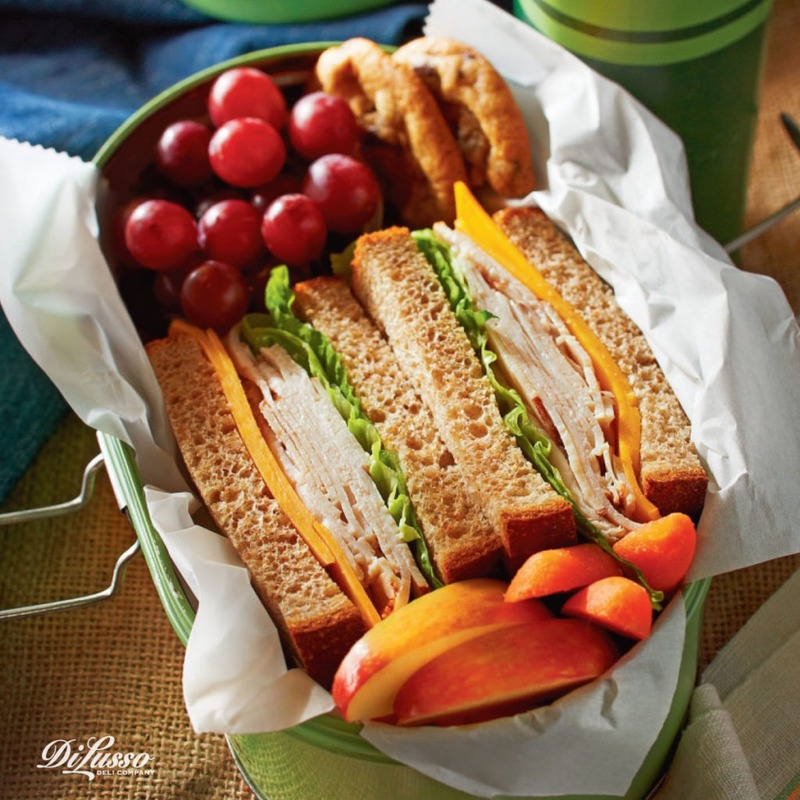 Some especially kid-oriented choices are the Turkey & Cheddar and the Deluxe Club with DI LUSSO® Turkey, Ham, Swiss and Cheddar cheeses, and bacon. They’ll also love the Hero Sandwich, packed with DI LUSSO® Chicken Breast, Seasoned Roast Beef and Muenster. Just add fruit and crunchy cut-up veggies, and they’ll have a lunch to keep them going all afternoon. Backpacks packed? Check. Permission slip signed? Check. Lunches handed out? Check. You’re ready! Just don’t forget a kiss and a hug before sending them out for another great year of living and learning.